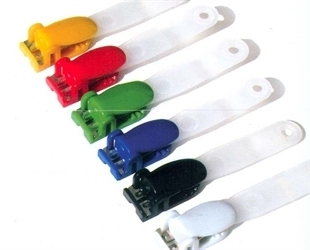 The clip on this fixture is used to identify specific user groups by colour co-ordination. The strap fits neatly through a slot in all of our badge holders and grippers so that id cards are clearly displayed while attached securely. These clips can be used to colour co-ordinate with both the badge holders and / or your card design. Please make sure to select the colour you require from the options list.